St. David's Foundation has once again honored The Caring Place by selecting the organization as a 2018 grant recipient for its Senior Independence Program. This article provides the full list of recipients. Time for a Fall Jewelry Show! On Thursday, September 6th from Noon to 3pm, The Caring Place is hosting a Fall Jewelry Show at 2001 Railroad Avenue in the Community Room. The Caring Place in Georgetown held a special event for its volunteers on Sunday, July 22, 2018, at the City Lights Theater in Georgetown. The crowd of nearly 300 volunteers and their guests were treated to the new movie release: Mamma Mia! Here We Go Again. Snacks and award presentation preceded the movie. June marks Family Eldercare’s 28th Annual Summer Fan Drive. 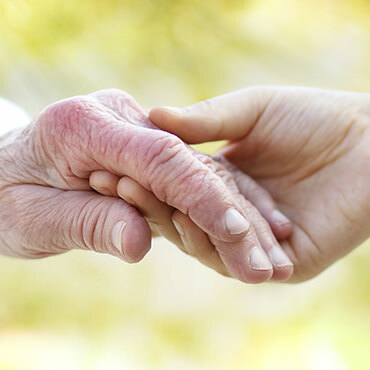 Family Eldercare provides fans to vulnerable seniors, adults with disabilities, at risk veterans and families who cannot afford to cool their homes across 14 Central Texas Counties. 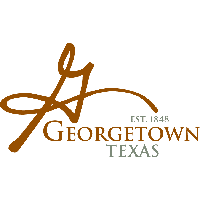 Each year, The Caring Place in Georgetown, Texas takes part in this initiative by being a distribution site for local neighbors in need.  June marks the 33rd Anniversary of the local non-profit, The Caring Place. 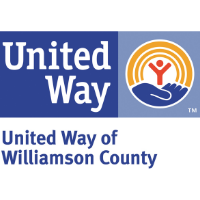 The organization’s mission is to provide basic human services to families in financial crisis in Georgetown and northern Williamson County. 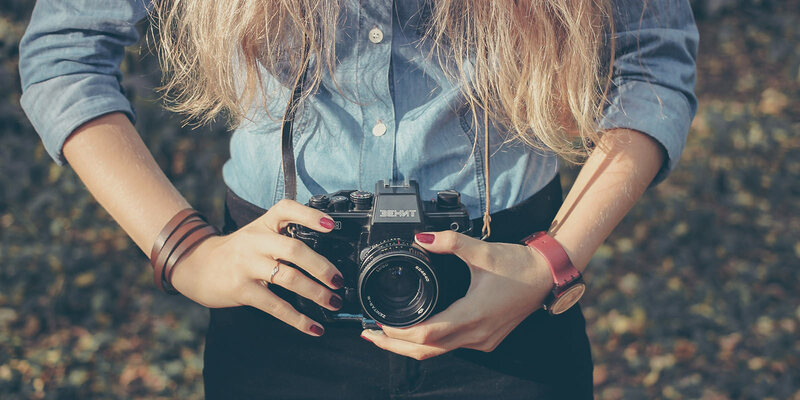 The community-based, community-supported organization is funded partially by two thrift stores, The Shops at The Caring Place and Second Helping. 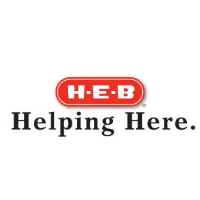 June 6-11 the stores will have a 33% Off Sale to thank the community for being part of the mission every day. Stamp Out Hunger Food Drive Results are In! On Saturday, May 12th, The National Association of Letter Carriers Local 181 branch participated in the “Stamp Out Hunger” Food Drive. The community was invited to leave non-perishables by their mailbox for the letter carriers to retrieve. All food from this campaign was donated to The Caring Place Food Pantry. David Earl, Food Programs and Facilities Director at The Caring Place, shared that the city-wide food drive collected 9,170 pounds of food on May 12th. The Caring Place in Georgetown, Texas and Goodwill Industries, invite the community to the 2nd Annual TCP-Goodwill Job Fair at The Caring Place Community Rooms at 2001 Railroad Ave., on Wednesday, May 23, 2017, 10:00 a.m. – 2:00 p.m.
Mail Carriers Coordinate City-Wide Food Drive! On Saturday, May 12th the mail carriers serving zip codes 78626 and 78628 are picking up nonperishables at the mail boxes to benefit the local community as part of their annual Stamp Out Hunger Campaign. Jewelry Show & Gift Cards are Here! On Thursday, May 3rd from Noon to 3pm, The Caring Place is hosting a Jewelry Show at 2001 Railroad Avenue in the Community Room. Also, the organization has updated the look of their gift cards. Customers will find the new cards in $20 increments at both stores beginning May 1st. The Caring Place first hosted “Chat & Chew” in January as a new way to show people what they are all about. That event proved to be a successful way to engage the community. Future dates of the lunch event are Wednesday, March 28th and Friday, May 18th from 11:30 a.m. to 1:00 p.m. at The Caring Place located on 2000 Railroad Avenue. 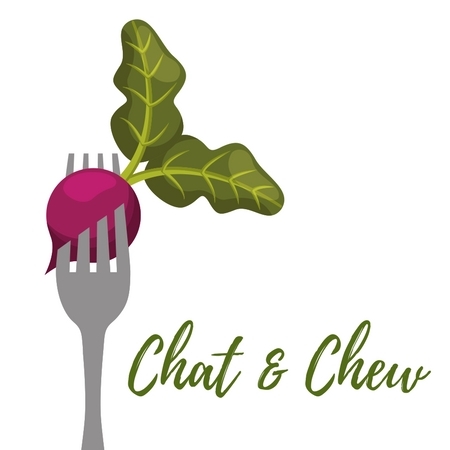 The Caring Place is hosting their first “Chat & Chew” as a new way to show people what they are all about. The lunch event will be held at The Caring Place on Wednesday, January 31st from 11:30 a.m. to 1:00 p.m. at 2000 Railroad Avenue. RSVP required. A few local organizations got the help they needed to continue helping the community stay healthy and safe. With the goal of making Central Texas the healthiest community in the world, St. David’s Foundation is announcing grants totaling over $14.6 million aimed at addressing a variety of health-related needs right here at home this holiday season. The Caring Place is excited to announce plans to open an additional retail store on Williams Drive in northwest Georgetown. The Caring Place, a local nonprofit organization providing assistance with basic human needs to families in crisis, recently conducted an analysis of its past and projected growth in services to clients and its thrift store, The Shops at the Caring Place. 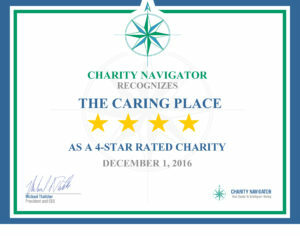 The Caring Place receives the coveted 4-star rating from Charity Navigator, America’s largest charity evaluator, for the third year in a row. 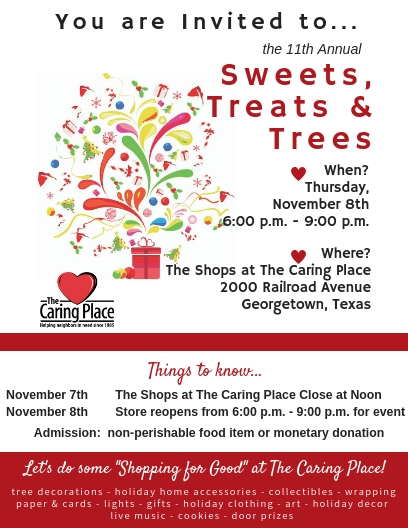 The Caring Place in Georgetown, Texas and its partner agencies, invite the community to learn about services available in The Caring Place Annex, 2001 Railroad Ave., on Thursday, October 6, 2016, 11:00 a.m. – 2:00 p.m. The Caring Place, in partnership with First United Methodist Church of Bartlett, has established an outreach office in Bartlett, Texas where it will provide services to people in financial crisis on the first Thursday of each month beginning September 1, 2016. 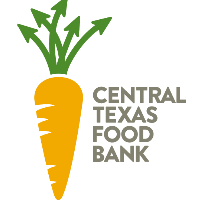 Voted “The Best Place to Volunteer and Give” in Georgetown for the past five years, The Caring Place has received Platinum level designation from Central Texas Food Bank. For the first time in its 31 years of service to the community, The Caring Place will establish outreach offices in Florence, Granger and Jarrell on a 6-month pilot basis. The Caring Place in Georgetown held a special event for its volunteers on Sunday, April 10, 2016, at the City Lights Theater in Georgetown. The crowd of about 250 volunteers and their guests were treated to the new movie release: Big Fat Greek Wedding 2, snacks and an award presentation. 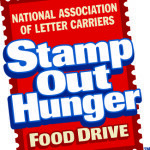 The Letter Carriers Stamp Out Hunger Food Drive is on Saturday, May 14, 2016. 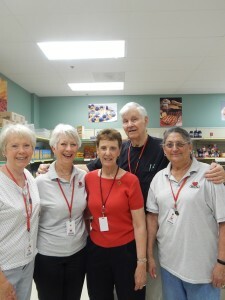 Non-perishable food donations from the community benefit The Caring Place Food Pantry. The Caring Place is holding its 26th Annual Soup Supper on Tuesday, February 23, 2016 from 4:30 p.m. to 7:30 p.m. at the Georgetown Community Center in San Gabriel Park, 445 E. Morrow Street to benefit Coats for Kids. The Caring Place wants to ensure that no child is cold this winter. Through its Coats for Kids program and the help of the community, The Caring Place provides Coats for Kids Walmart cards to qualifying families with children. The Caring Place wants to help make sure that no family in Georgetown and rural Williamson County goes hungry, especially during the Holidays. The Caring Place wants to ensure that no family goes hungry or child is cold this holiday season. This year, as in the past, The Caring Place, through its Holiday Meal Assistance and Coats for Kids programs (collectively known as Holiday Assistance), is asking for help from the community to meet the needs of a growing population of families in financial crisis. On the morning of September 21, 2015, a fire ripped through Indian Creek Apartments in Georgetown, completely burning Building 3. This left 18 families homeless. In response to this tragic fire, The Caring Place is providing emergency assistance to victims of the fire.